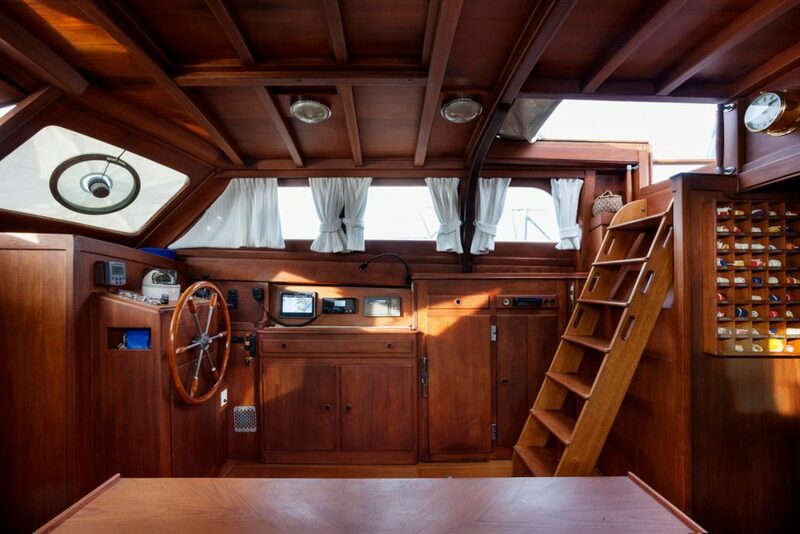 construction N.201, and launched in 1976. 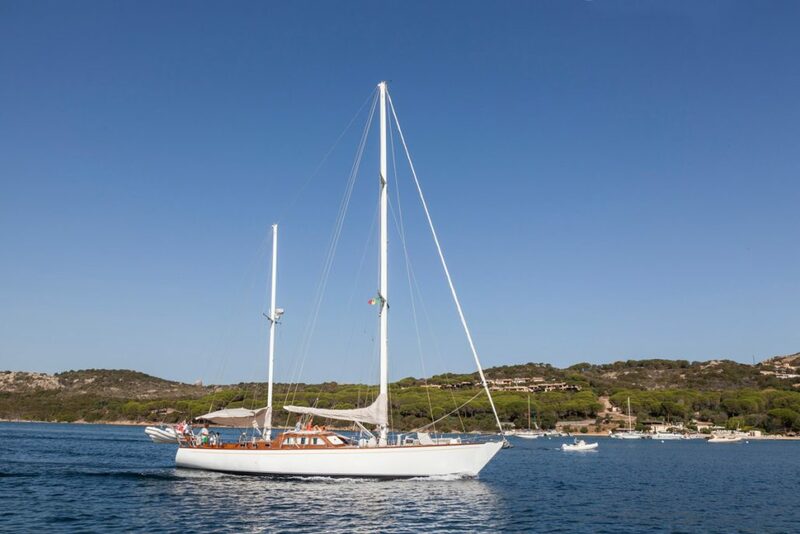 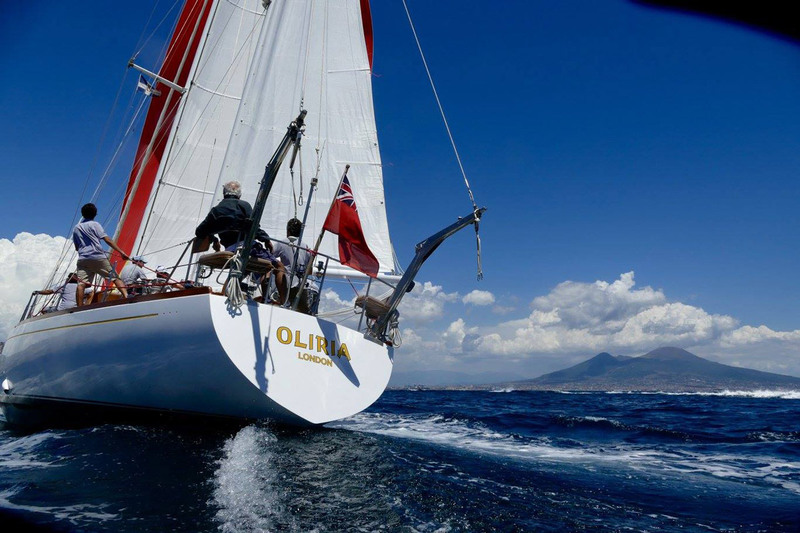 Oliria’s merit is that she has only had two owners so far, and she has never been rented out for charter. 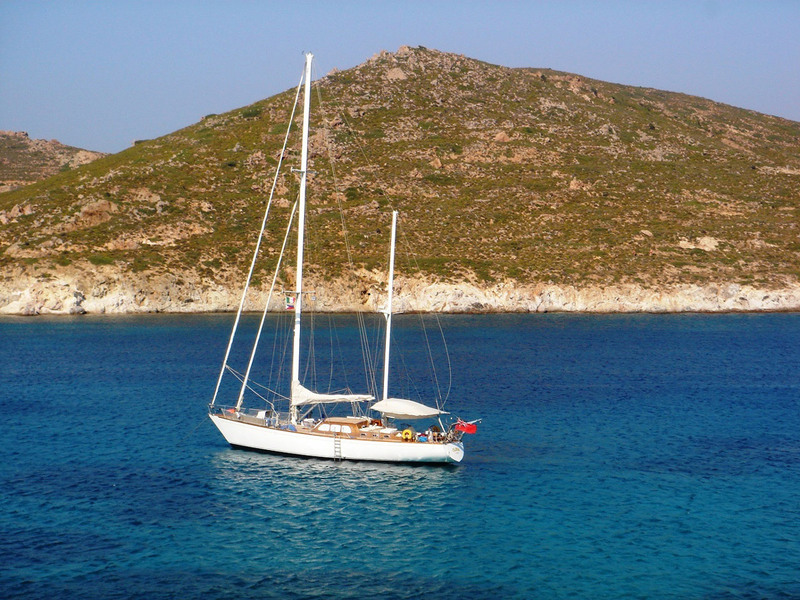 The first owner had the yacht from 1976 to 1998 and the current owner from 1998 until today. 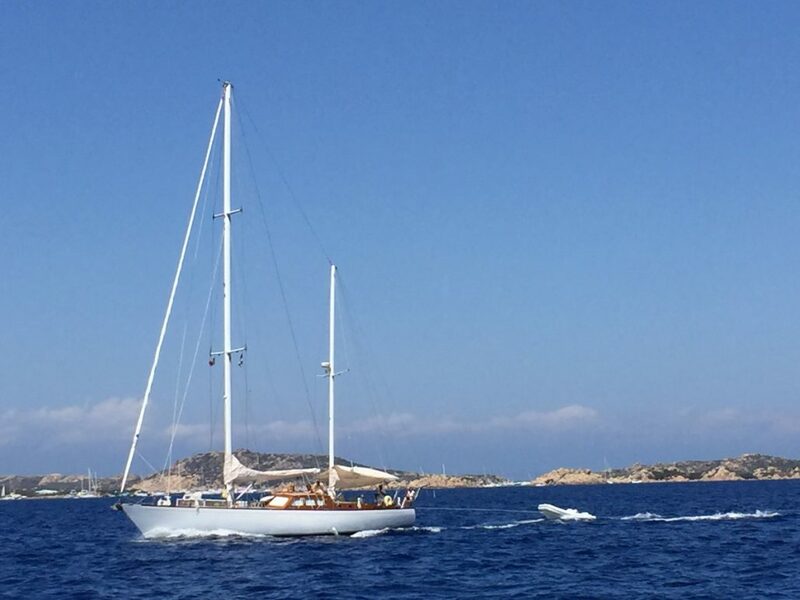 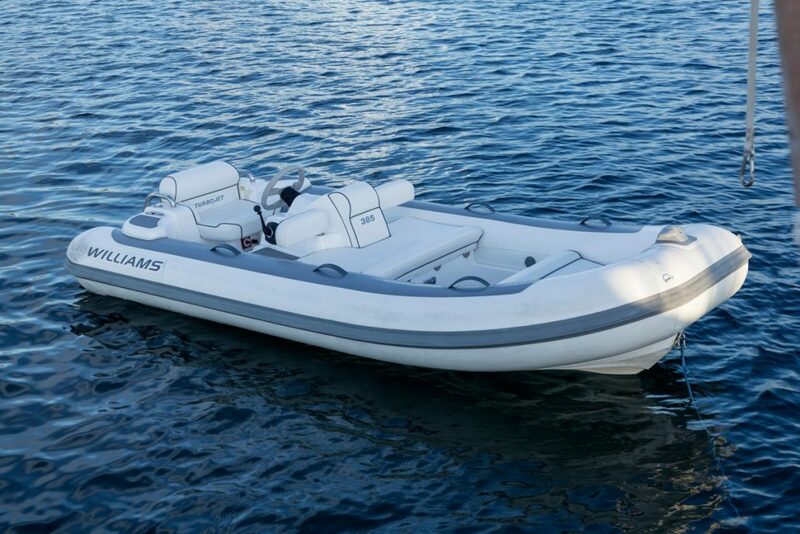 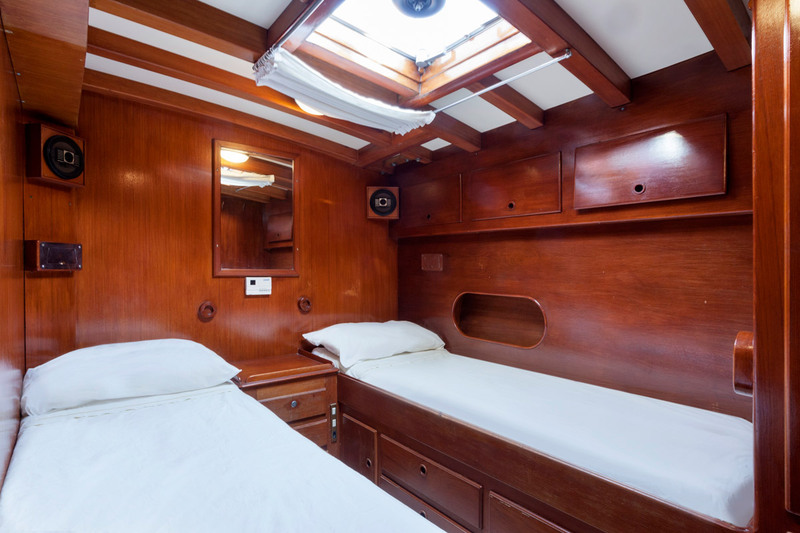 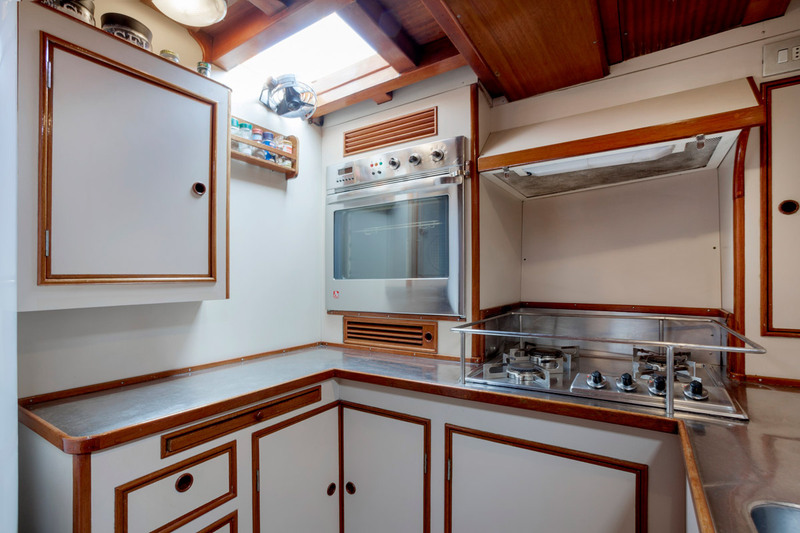 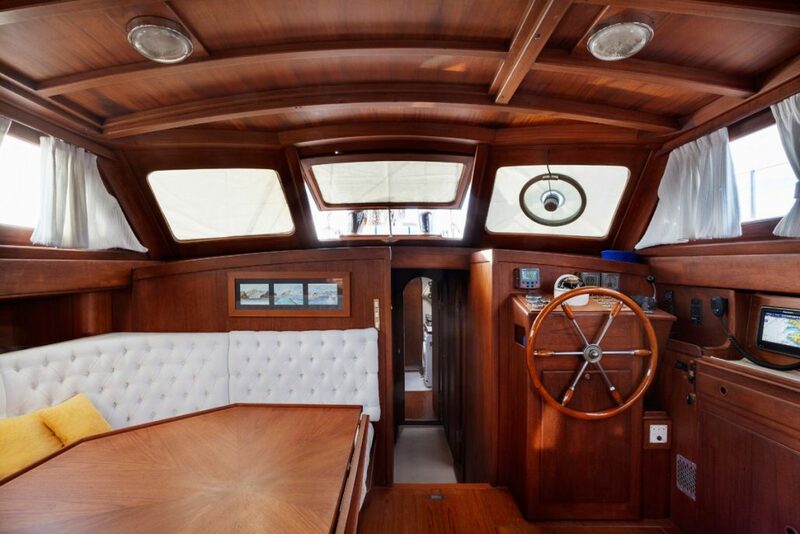 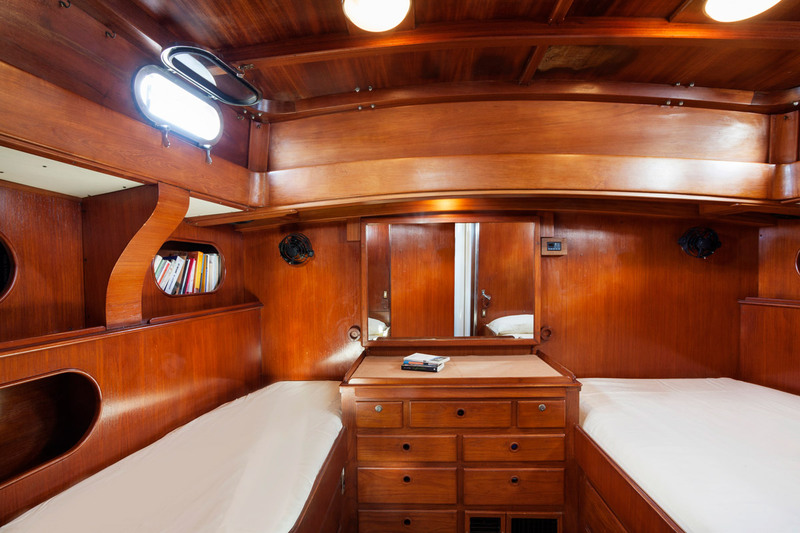 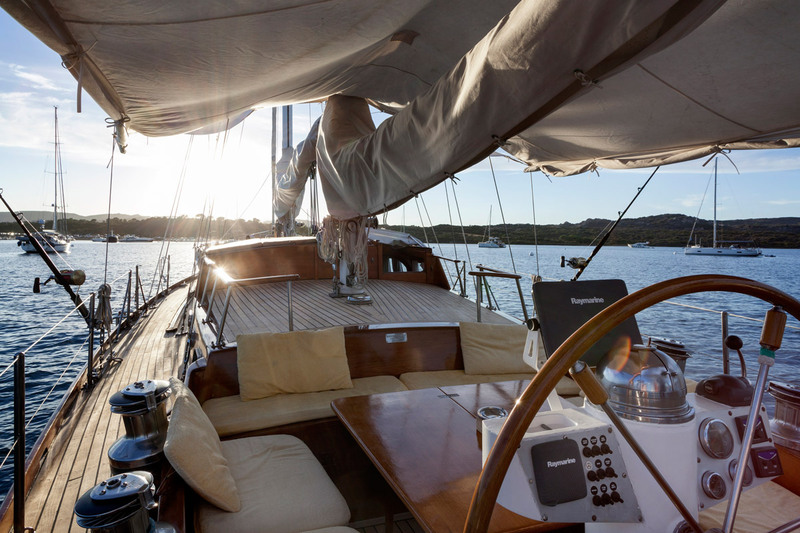 The care with which Oliria has been kept can be seen by visiting the yacht and by considering the maintenance work done over the years, especially by the current owner. 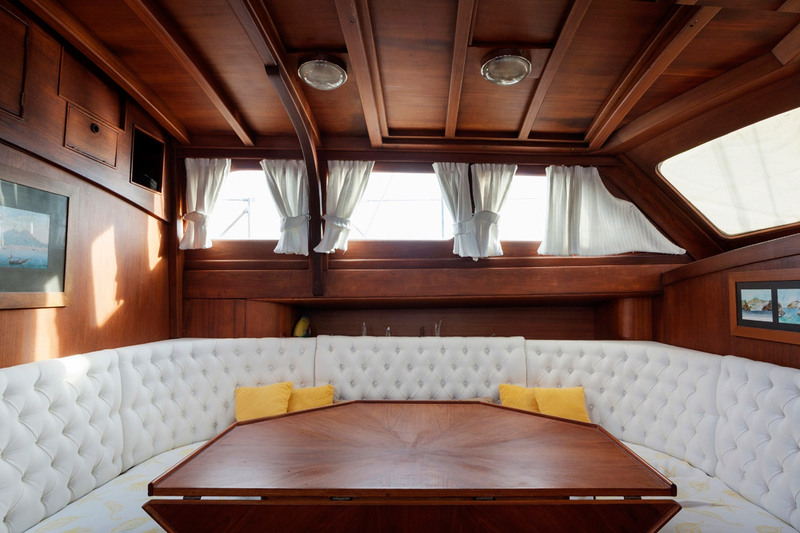 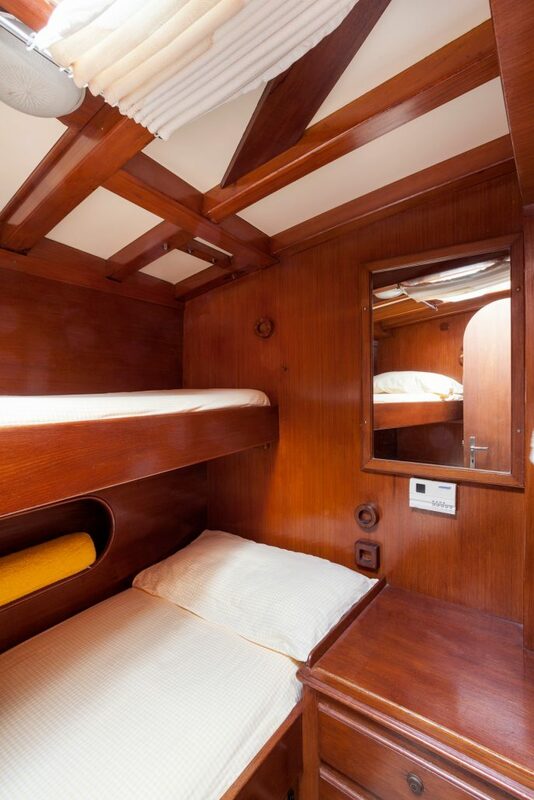 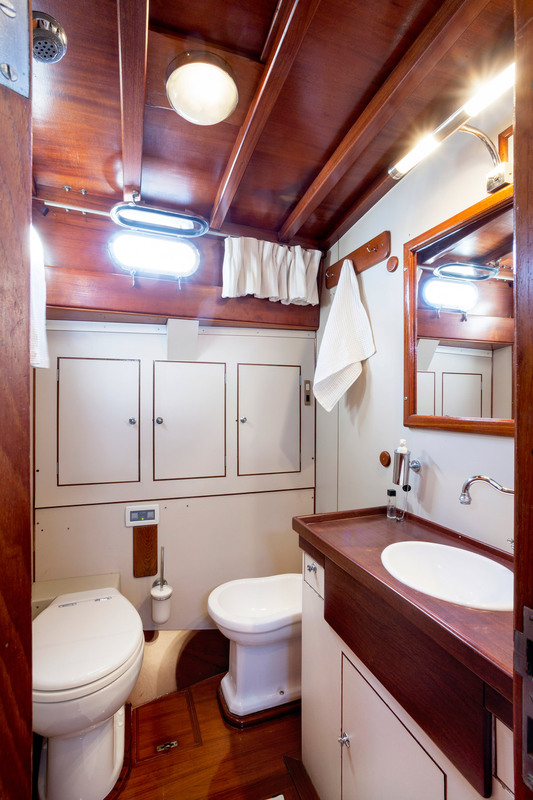 The large main saloon provides excellent visibility and sitting area for eight people. There is a crew cabin with a separate toilet at the front.